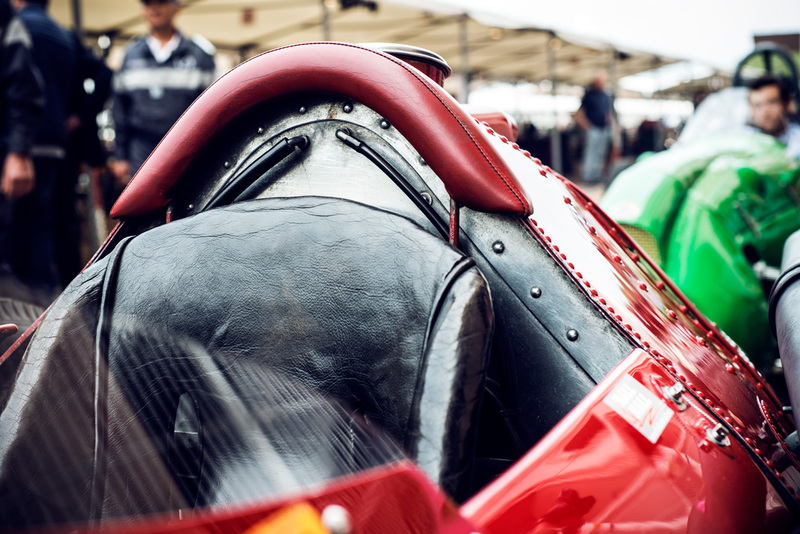 There are some perfect couples that can only exist in the motoring universe. 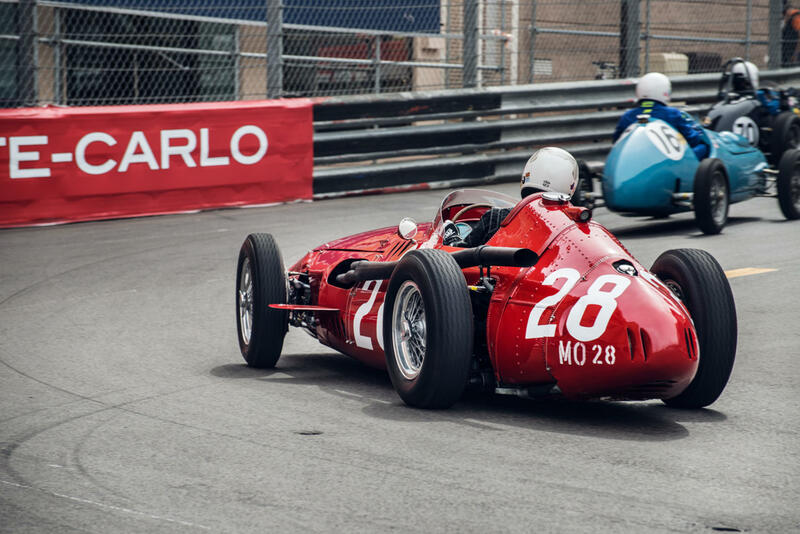 The Maserati 250F and Sir Stirling Moss form one of these pairs, hard to forget even after 60 years. It's really a unique emotion watching the horse and its rider many years later, together again and in perfect shape, in the same place where they left an indelible mark on history. 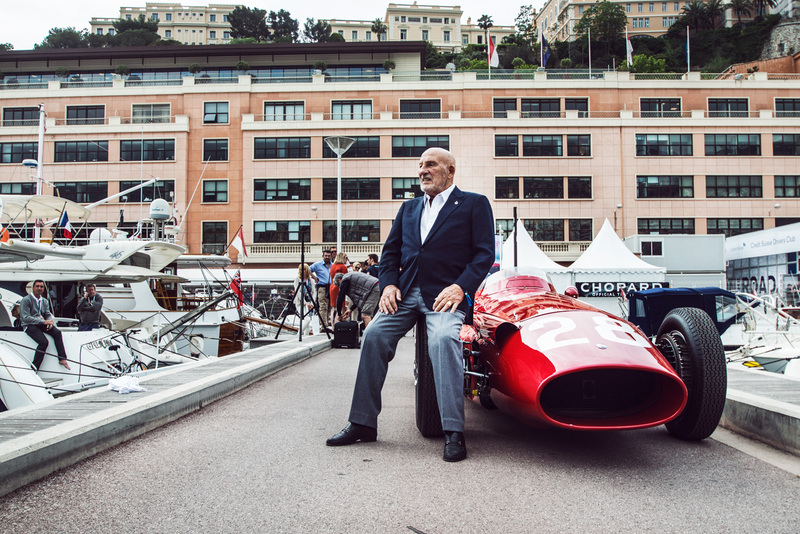 Sir Stirling Moss and the Maserati 250F reunited during the 10th edition of the Grand Prix de Monaco Historique. 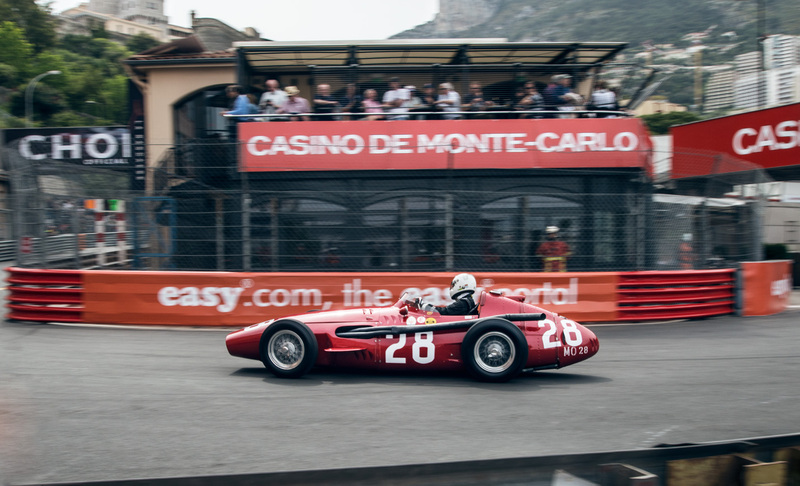 The former driver met again with his factory and (at the time) privately owned chassis 2522, on which he won the Monaco GP on May 13th 1956 leading from the first to the last lap and setting an incredible pace throughout the race. 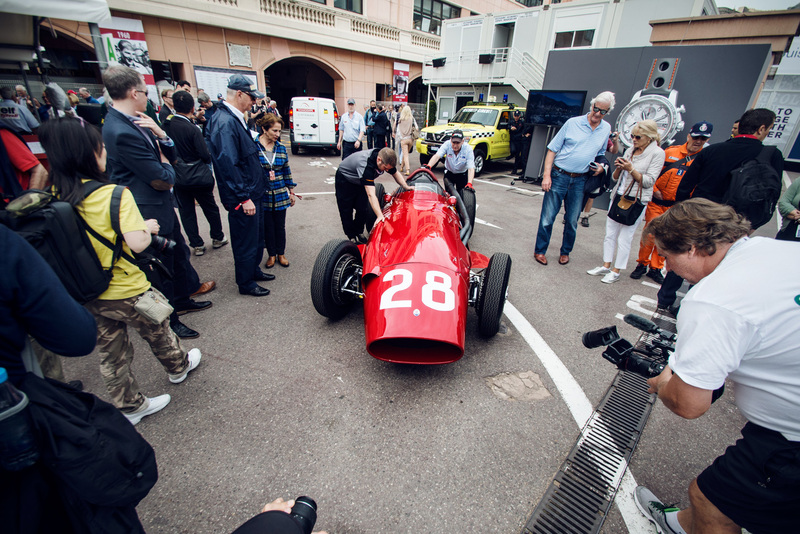 It was one of the greatest wins by Maserati against Scuderia Ferrari D50s, at that time driven by Fangio and Collins, and one of the most memorable triumphs for the Tridente. 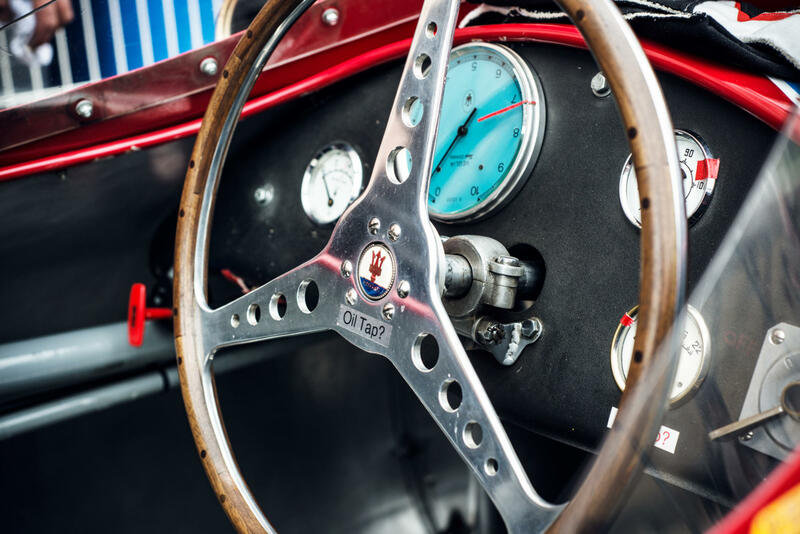 Moss was racing along with Behra and Perdisa as teammates, and his car was specially fitted to a special 4 speed gearbox for the Monaco circuit instead of the standard 5 speed. 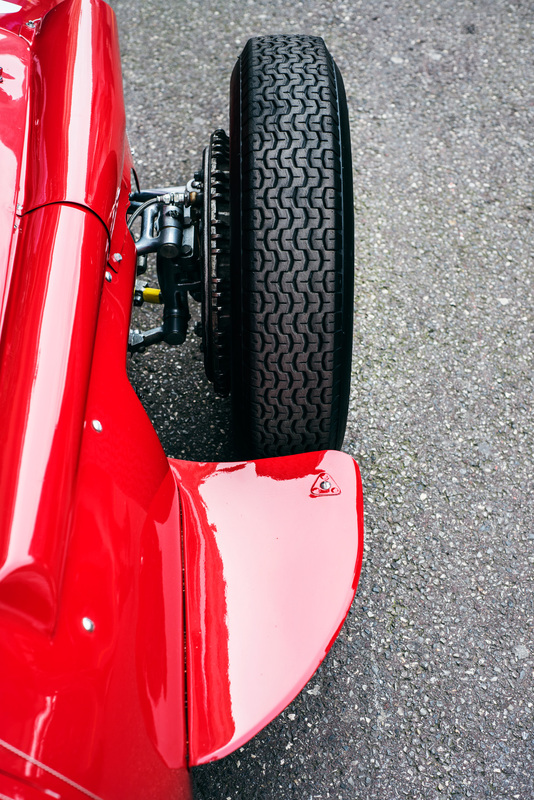 Just like Cesare Perdisa one, Moss’s 250F had a right side accelerator pedal instead of the standard middle one, just in case he had to switch car if an accident should occur. 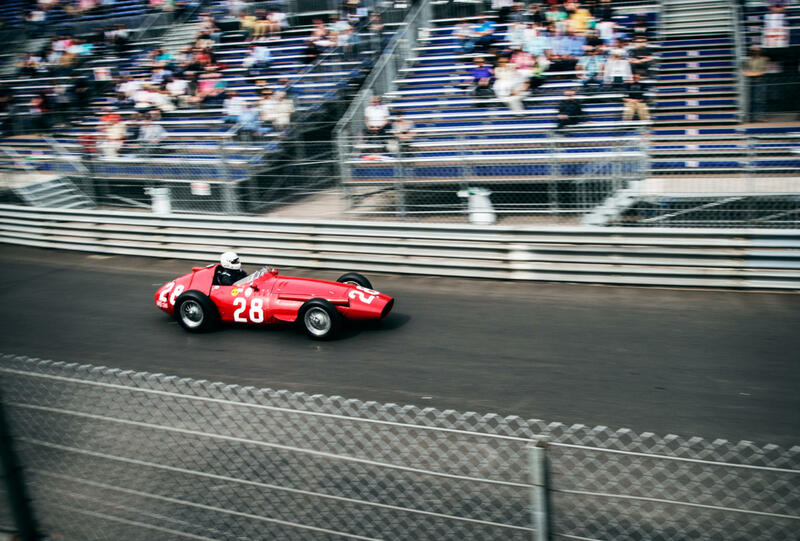 The GP was a battle between Maserati and Scuderia Ferrari, which was racing with the famous Lancia-Ferrari D50 driven by the Maestro Juan Manuel Fangio who came second at last. 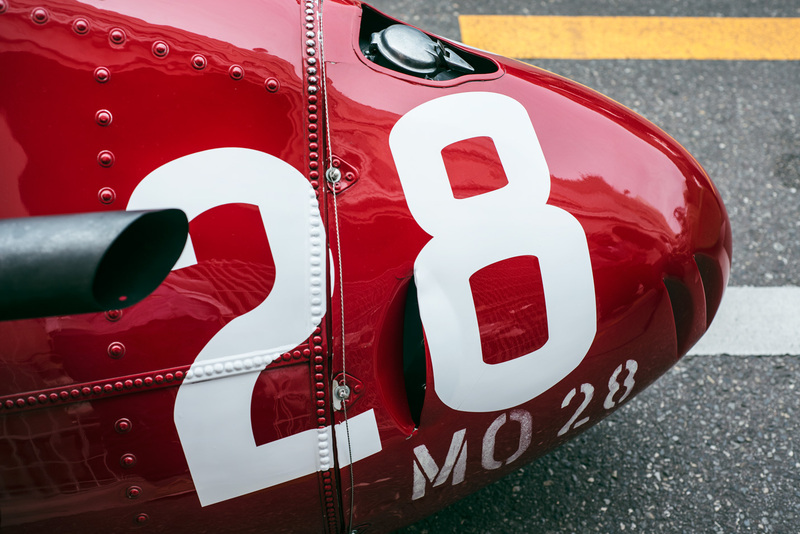 As Sir Moss recalled, he chose to buy the 250F because back in the day it was the most beautiful handling F1 car on the market and for its powerful dual plugs 2.5 liter straight 6 engine. 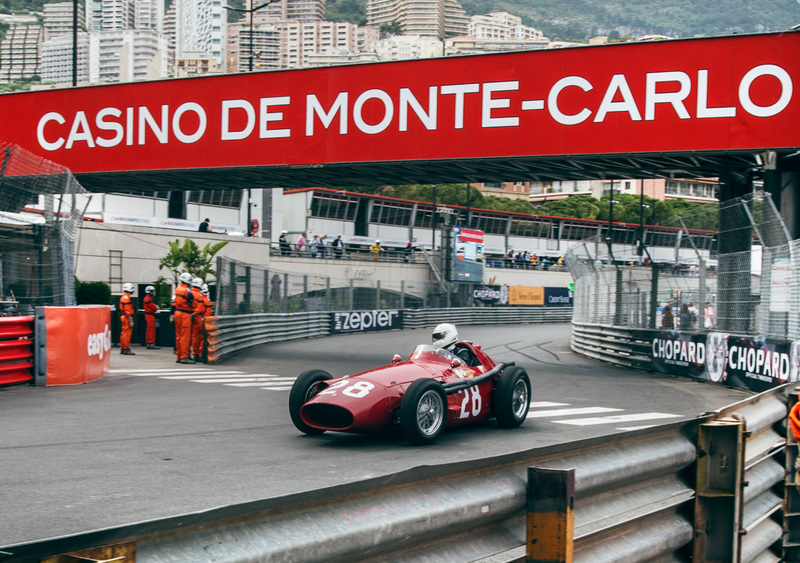 The combination of Moss’s driving skill and the excellent Colucci-designed tubular chassis of the 250F was the best possible solution to win on the tight and narrow circuit of Monaco. 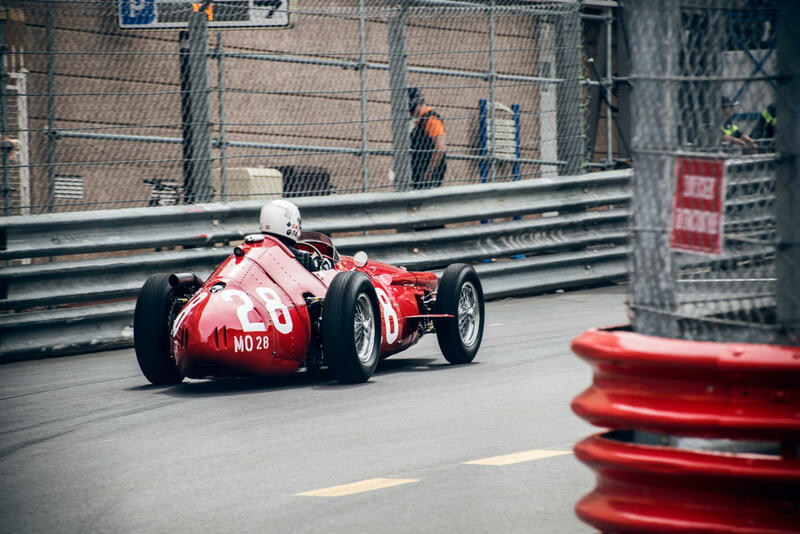 It should have been really exciting listening to the Maserati at full revs through the corners, with Sir Moss handling it like a real man. 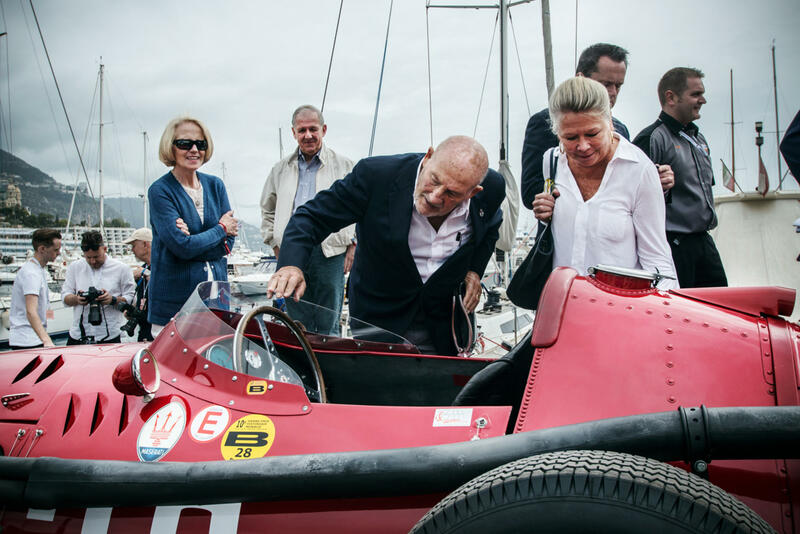 At the 10th Monaco Historic GP the automotive press could admire the rare sight of this legendary couple reunited in the same place where they made history. And what about Sir Moss? 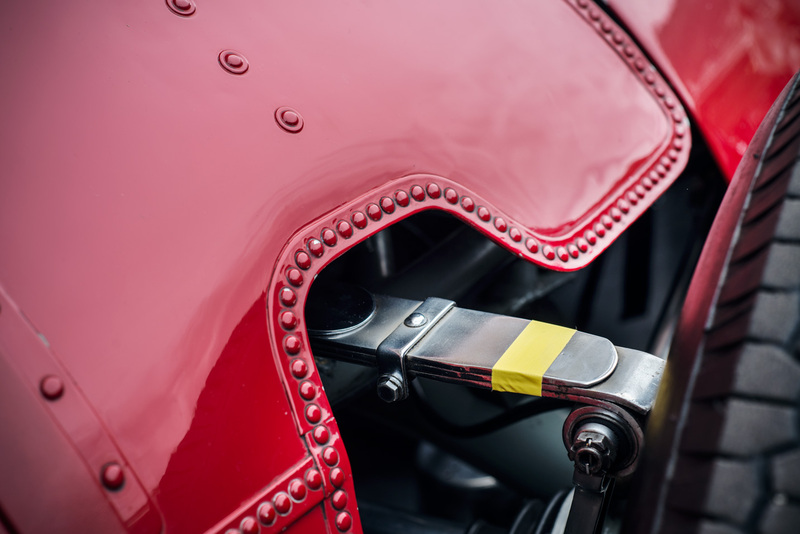 As soon as he sat on the front right tire he said: "Better inflate it, it's off pressure". 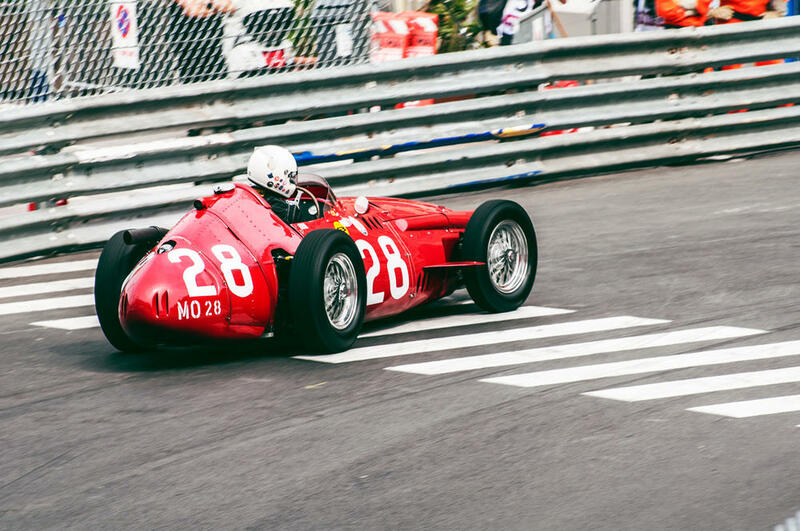 For a moment every one thought he was ready to jump in and win again.